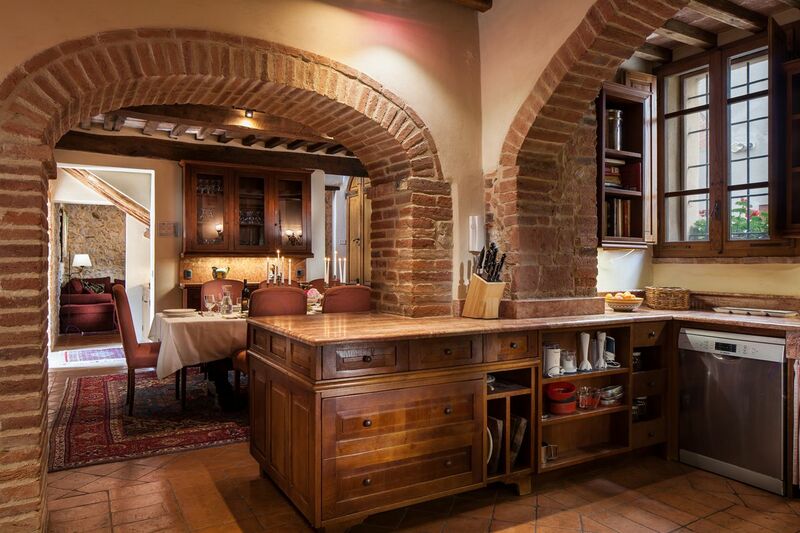 The main kitchen is equipped for those who love to cook, to share the process and like to linger over summer meals under a trellised canopy of vines on the terrace, which seats 18 or more. 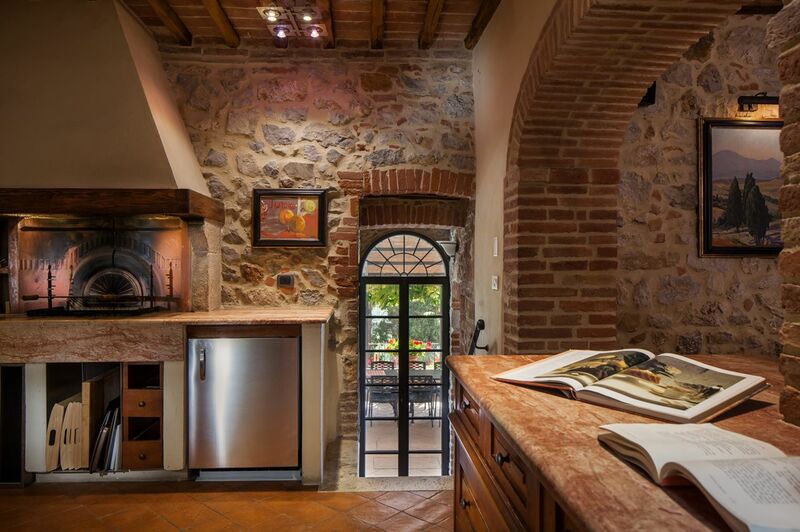 Fitted into the cool cantina spaces, the kitchen has stone counters, a wood-burning or charcoal grill (firewood is provided), five-burner gas range and electric oven, two dishwashers, a working pantry with Miele refrigerator, and a pool bar with ice maker. Just steps from the dining terrace, you will also find a traditional Italian vegetable and herb garden. 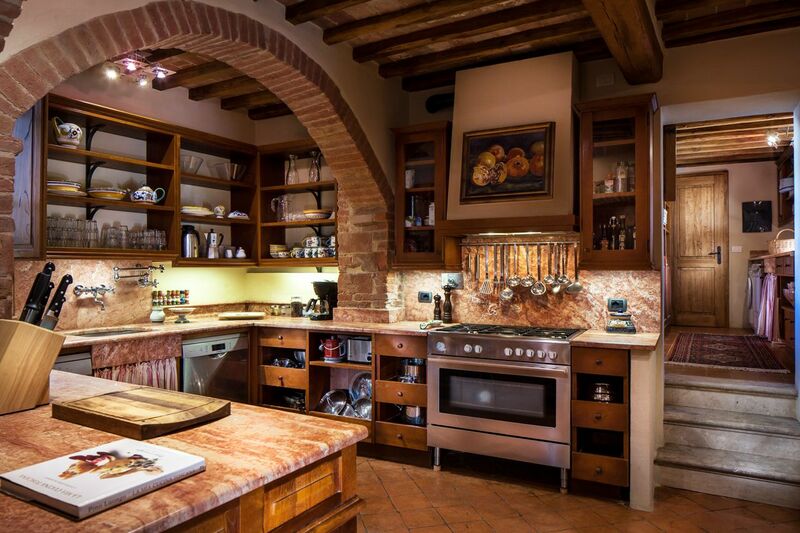 This is a house that is perfect for family reunions, weddings, quiet dinners, and celebrations of food, wine, and life.